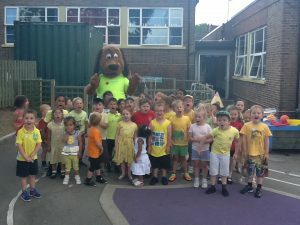 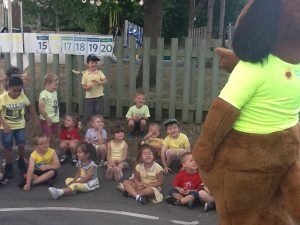 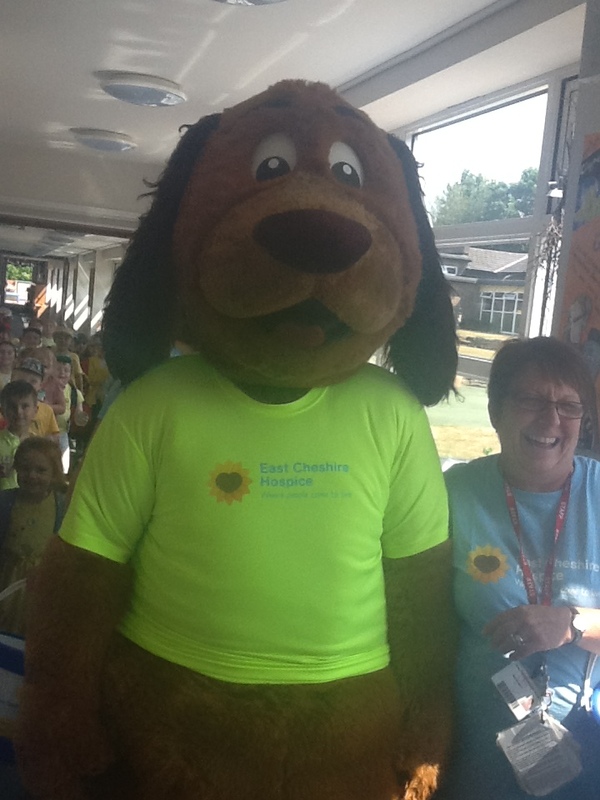 Reception Class organised a whole school ‘Yellow Day’ to help raise money for East Cheshire Hospice. The children could come into school dressed in yellow clothes. 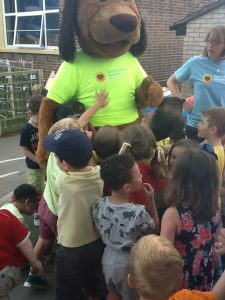 Also, if they wanted to they could plant a sunflower seed to take home to grow. 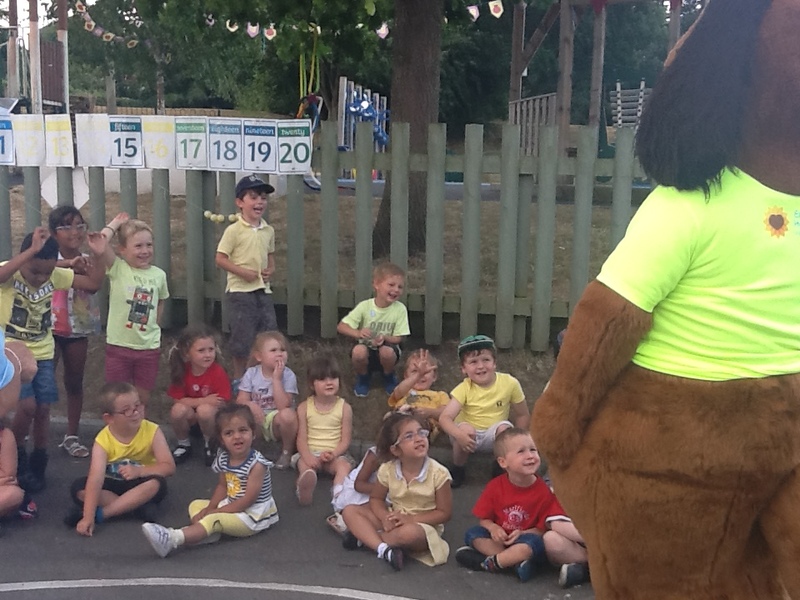 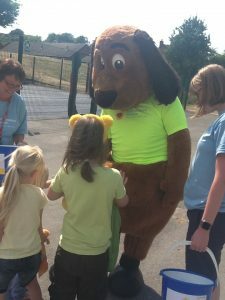 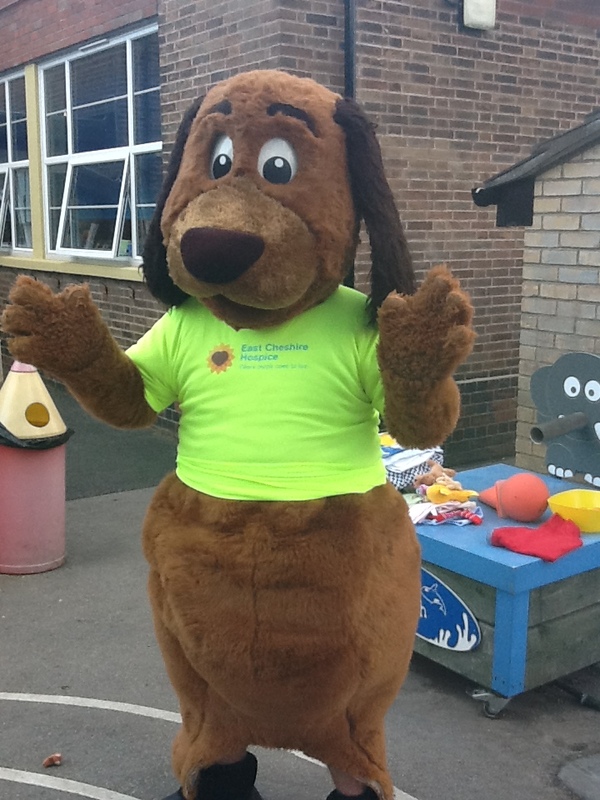 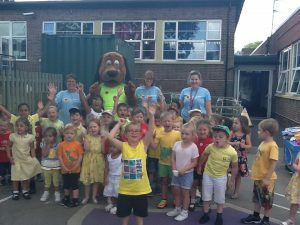 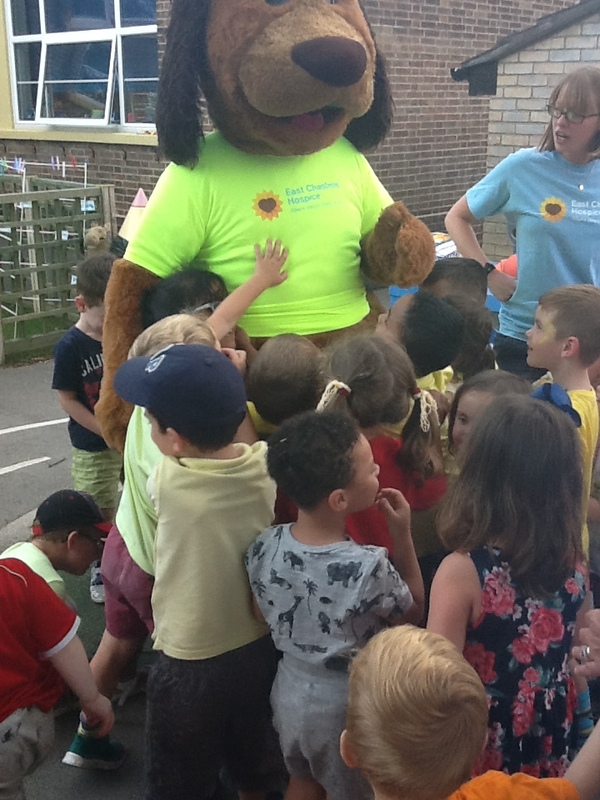 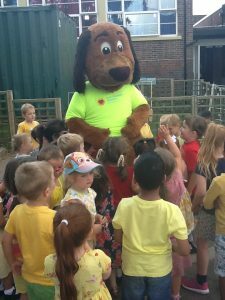 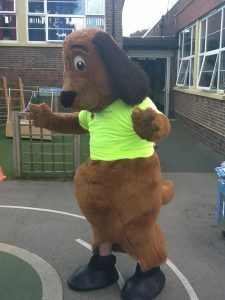 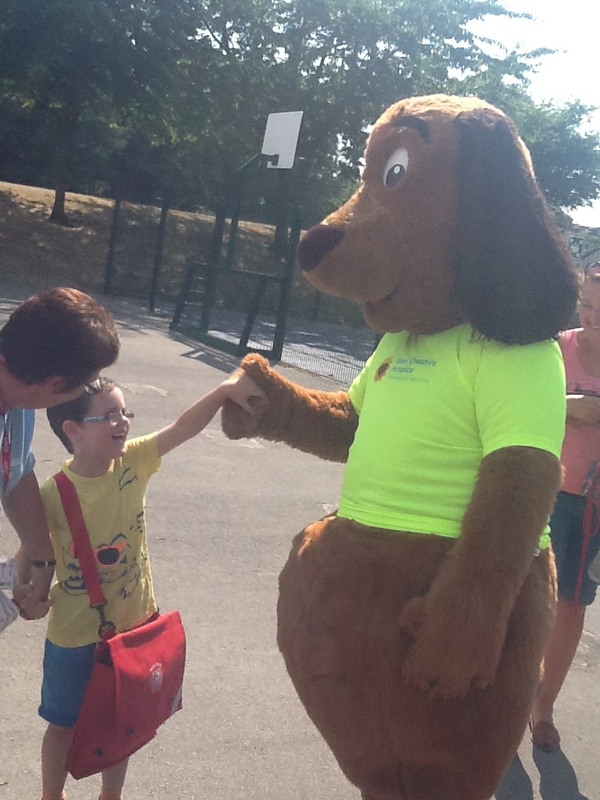 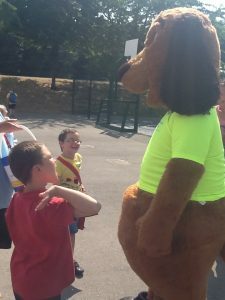 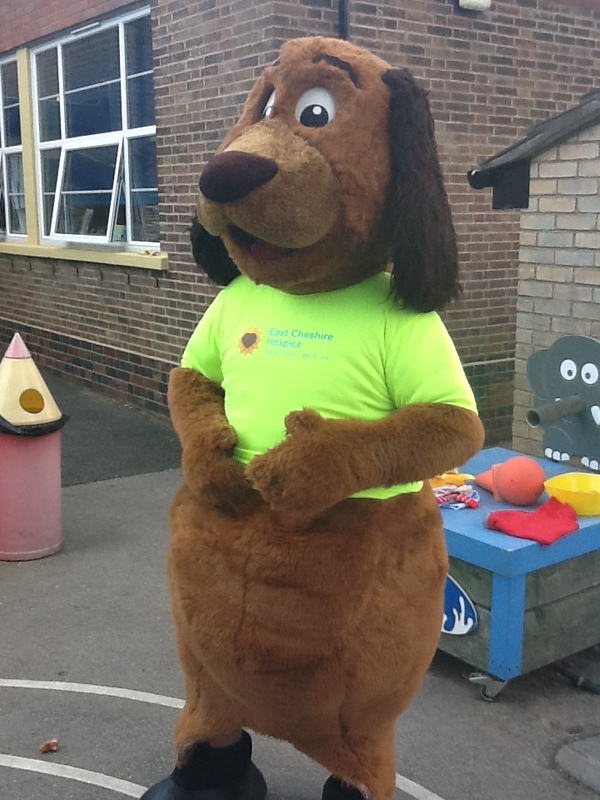 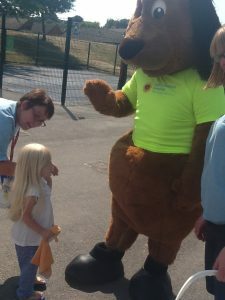 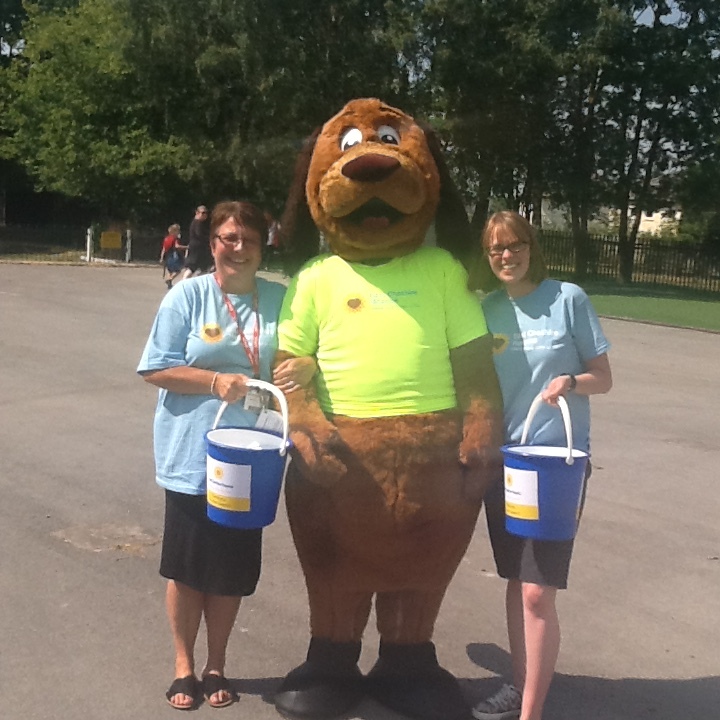 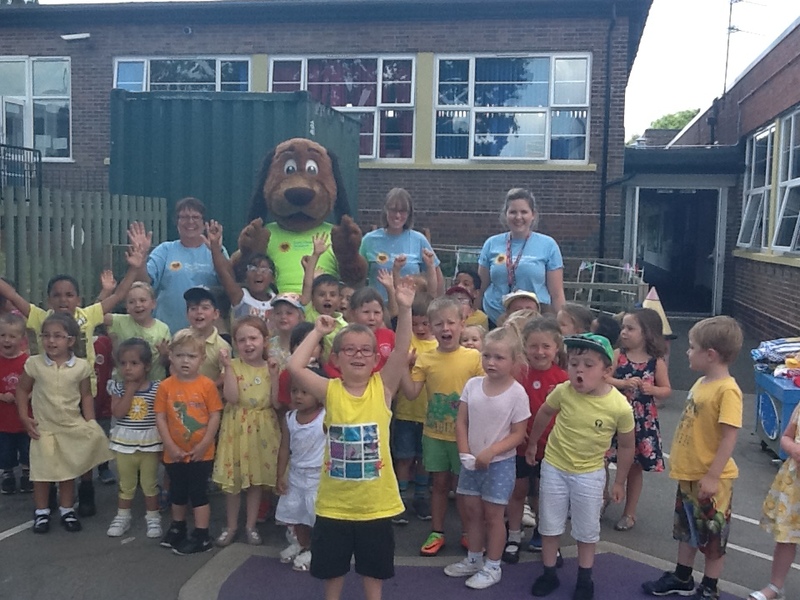 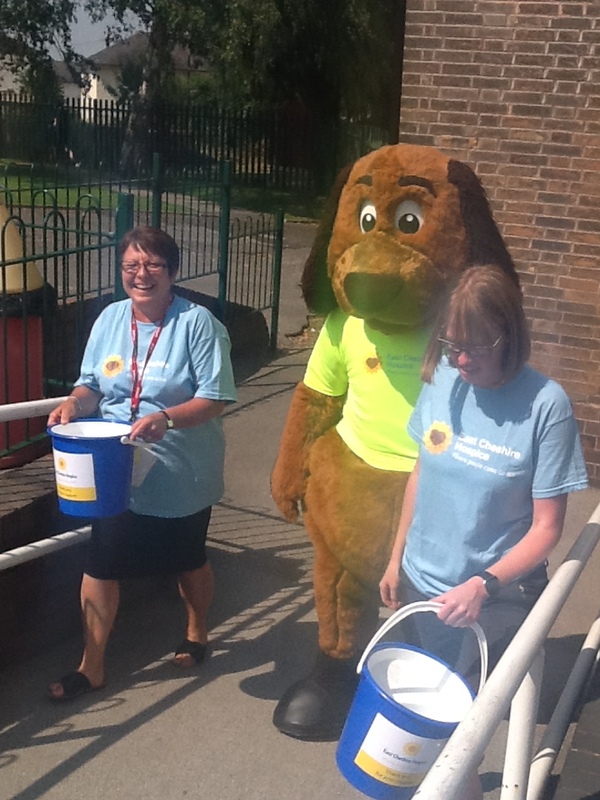 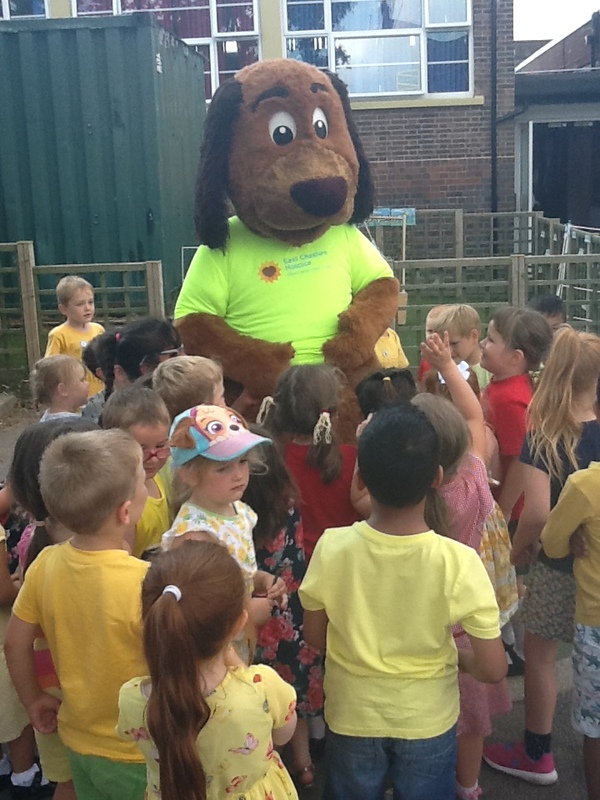 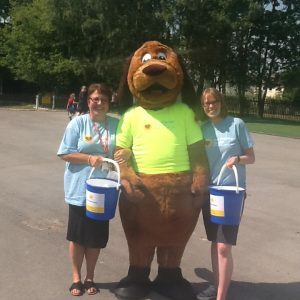 In the afternoon, the children had a special visitor come to see them – “Sunny The Dog”. 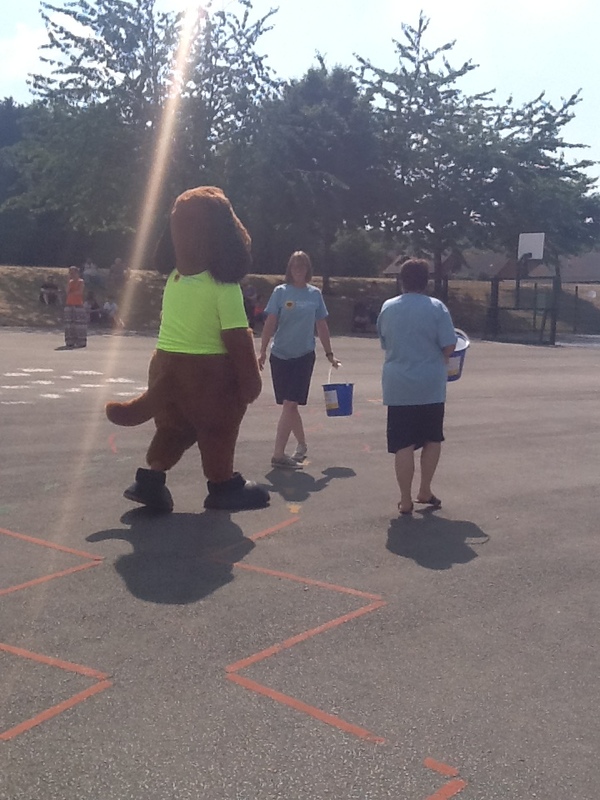 Thank to everyone who donated money.